Lufthansa Private Jet, German airline Deutsche Lufthansa AG’s charter service, is offering direct flights to more than 1,000 destinations within Europe, the Russian Federation and North Africa, along with 6,000 North American destinations. On board Lufthansa Private Jets, which can be booked on short notice, passengers can enjoy catering and entertainment suited to their personal preferences. 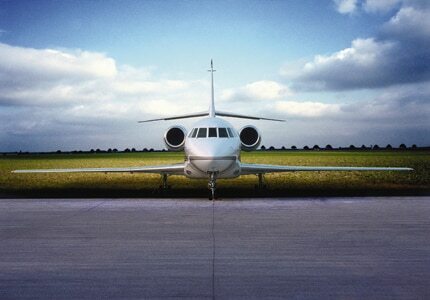 On the ground, Lufthansa Private Jet guests will be chauffeured to and from the airport via limousine service and will have access to VIP services and First Class lounges at all major departure and arrival airports. 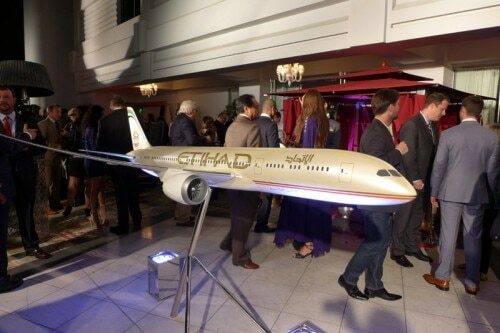 Joining Chicago, New York and Washington, D.C., Los Angeles has become the fourth U.S. destination for Etihad Airways. The national airline of the United Arab Emirates, Etihad Airways started a daily service between Abu Dhabi and Los Angeles on June 1. Renowned for their customer service, Etihad Airways has eliminated the hassle of going through customs upon arrival in the U.S. by processing all travelers and their checked baggage through U.S. immigration, customs and agriculture inspections before boarding the aircraft in Abu Dhabi. The future of luxury hospitality is upon us, as Four Seasons introduces the industry’s first fully branded private jet experience. Scheduled to take its maiden flight in 2015, the Four Seasons’ retrofitted Boeing 757 will take 52 lucky guests (each trip) on multi-city journeys. These personalized itineraries include air travel, ground transportation, planned excursions, all meals and accommodations at a Four Seasons in each city. There are currently three trips open for reservations: Around the World, February 2015; Backstage with the Arts, April 2015; and Around the World, August 2015.